It is with deep sorrow that we announce the death of our colleague and friend Oded Maler, in the evening of September 3rd, 2018. Oded was a brilliant researcher, admired for his scientific integrity and his insatiable curiosity. He was interested in a wide variety of topics, not only computer science and mathematics, and was always ready to participate in deep philosophical discussions. His sense of humor and his human qualities, made him a dear and respected colleague to many at home and abroad. 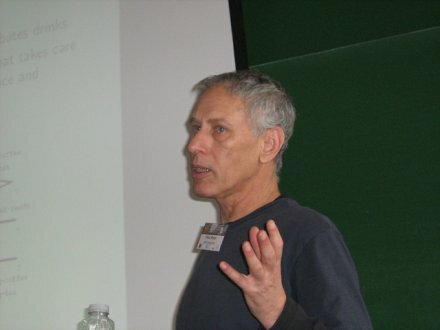 He played a key role in introducing and developing the hybrid systems theme at Verimag, working on theoretical foundations as well as industrial applications of formal methods. He supervised numerous PhD students, several of them now holding research positions in various international universities. For us, his colleagues, he was a source of inspiration, an example, and the dearest friend. He leaves a huge void in our community.